(Video) Derren Brown: "Miracles For Sale"
Flash Mob In Beirut Mall Sing "Christ Is Risen!" In the late eighteenth century, a new controversy in the monastic community of the Holy Mountain turned unexpectedly into a movement of spiritual regeneration. 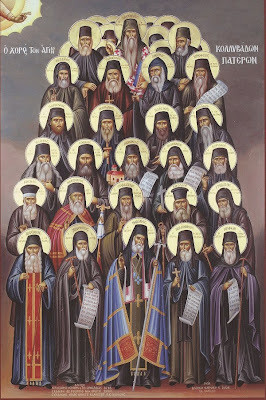 Certain important ecclesiastics came together to defend the theological profundities of Orthodox worship, and soon found themselves attempting to reawaken the subject Greek nation's spiritual consciousness. This was the Kollyvades movement, a complex issue with contradictions that provoked widely differing reactions. Were conservative zealots, servile to the Turk, spreading obscurantism? Or was a strong neo-patristic revival preparing a final flowering of a broader Greek culture? Was it a movement against Westernization and the alienation of Hellenism from its spiritual roots? Or did it exemplify Western pietism's penetration of Greek Orthodoxy? "Kollyvades" began as a pejorative term for Athonite monks who disapproved of commemorating the departed on a Sunday with "kollyva" - boiled wheat. The commemorations were always read after the Divine Liturgy on Saturday in the Athonite community's monasteries and sketes. The Church's most ancient custom was to celebrate Sunday as a paschal day of resurrection, which excluded the funerary memorial prayers for the departed. In 1754 monks of the Skete of St. Anne transferred the commemorations from Saturday to Sunday for a practical reason: they wanted to visit the Saturday market in Karyes. Their ignorance about the sense and significance of worship proved their theological superficiality, provoking opposition from simple monks who clearly possessed an alert ecclesiastical consciousness. A painful controversy ensued and arguments were exchanged by both sides. The Kollyvades insisted on a paschal character of the Lord's Day, refusing to "bend the knee" on Sunday, and insisting on frequent Holy Communion. The Church's canons forbid kneeling on the Lord's Day. They stipulate that "we offer the Eucharist on the Lord's Day in a standing position," because we are no longer slaves, subject to death, but conformed to the Lord's resurrection. Insisting on "continuous Holy Communion" reflects a true understanding of the Church; only the Eucharist realizes and manifests the Church when the faithful receive Communion "from the same bread and cup". The Kollyvades' theses convey a vigilant theological awareness of the Church's living priorities, which for that time was unusual. The opponent's arguments were generally scholastic and lacking in theological content. Yet they prevailed, their proponents imposing their views on the Patriarchate of Constantinople and procuring the condemnation of the Kollyvades by the Holy Synod. The leaders were exiled, excommunicated and deposed. 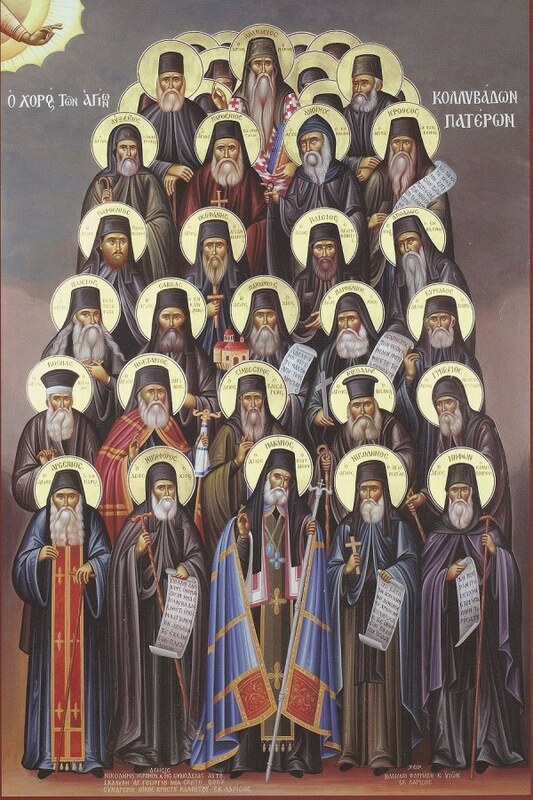 Two Kollyvades monks of Mount Athos were even assassinated. Most of the movement's leaders had to abandon the Holy Mountain, many going to the Aegean islands: Chios, Ikaria, Paros, Hydra, etc. The most important Kollyvades center was in Skiathos, at the Monastery of the Annunciation founded by Hieromonk Niphon in exile. Niphon's personality and the monastery's traditions strongly influenced two local authors: Papadiamantis and Moraitidis. At the start, the Kollyvades' leader was Neophytos Kausokalyvites (1713-1784). Having studied in Constantinople, Patmos and Ioannina, he became a monk in the Skete of Kausokalyvia on Mount Athos. He taught at the Athonias School, serving two terms as director. His influential treatise On Frequent Holy Communion of the Immaculate Mysteries (1766) intensified the controversy. Exiled from Mount Athos, he continued teaching in Chios, Andrionople, Brasov in Transylvania, and Bucharest, where he died. The clash between the Kollyvades and the Enlightenment's proponents at the turn of the nineteenth century was perhaps neo-Hellenism's last chance to preserve its traditional identity. Of course, Korais' opinions prevailed, not those of the Kollyvades. Wider Hellenism had begun its long agony, which after successive amputations continues painfully and inexorably to the present day. From Orthodoxy and the West, pp. 115-117.